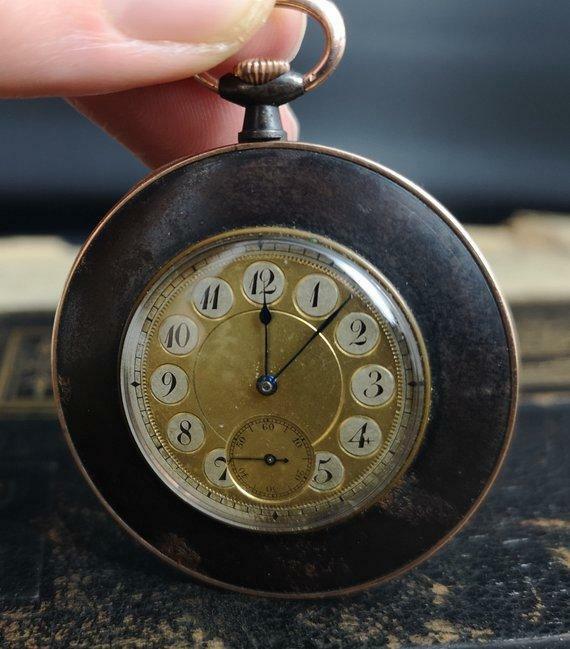 A charming early 20th century, antique Edwardian gold, rose gold and gunmetal top wind pocket watch. 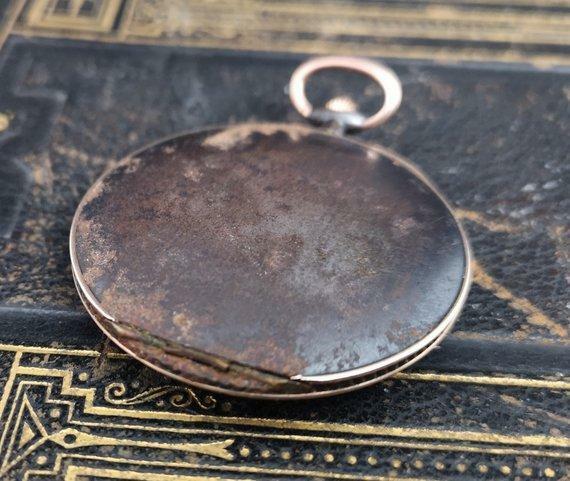 It has a gunmetal case front and back with a rose gold rim, wind and top loop. 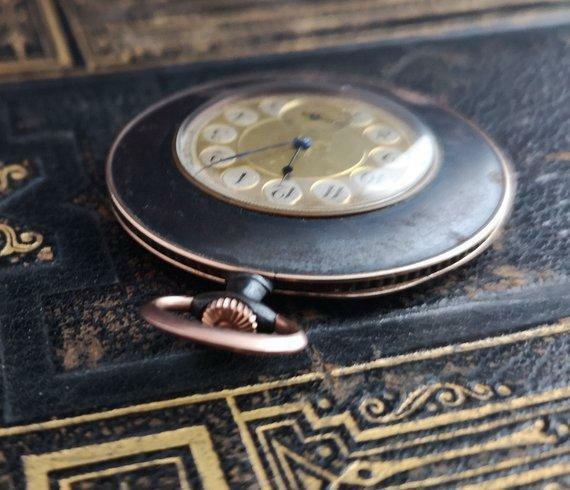 The face is yellow gold with a subsidiary second dial, black hands to both dials, the numbers are decorative and scrolling and each set into a circular recess. Yellow gold on enamel tests as 18ct, rose gold has a triangular import stamp, no further marks and tests as between 12-15ct purity. 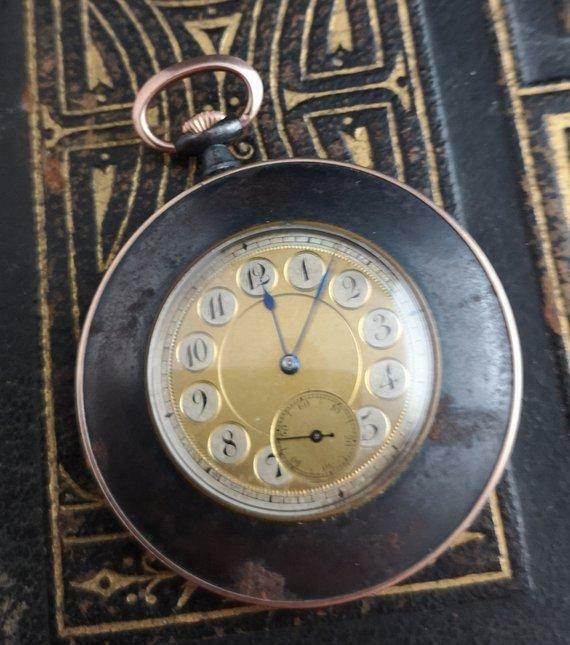 The watch is unmarked, Swiss make, late Edwardian. 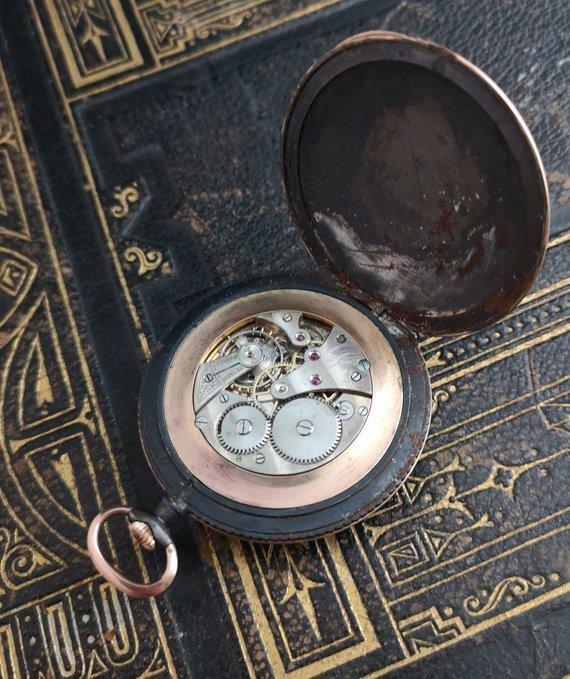 Movement is in good condition, internal case parts are also crafted from rose gold, the watch is working well and checked over a 24 hour period. 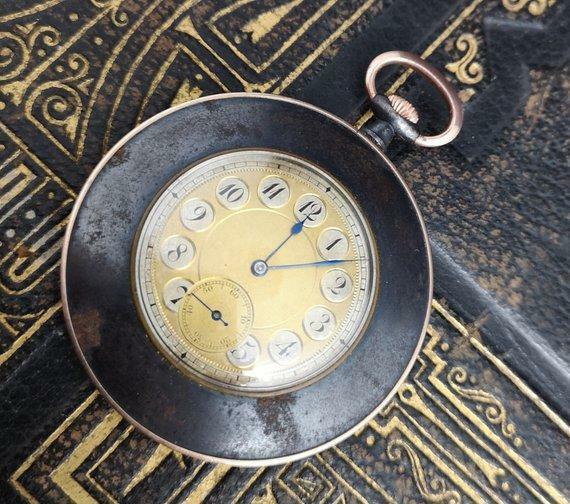 This antique pocket watch comes from the sale of a prestigious single owner collection including many items related to the family and thean himself, Lord Byron. 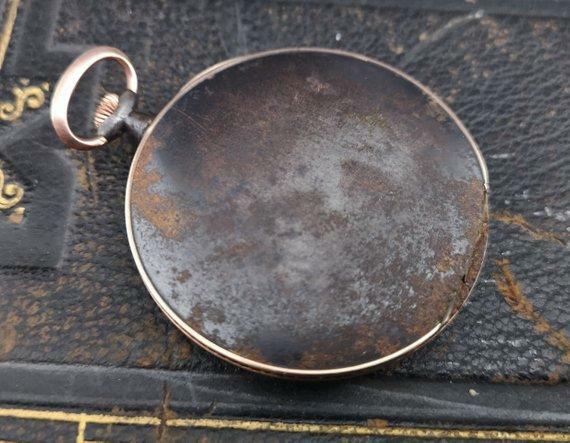 Approx 2" width of the watch, 2.5" height with loop. 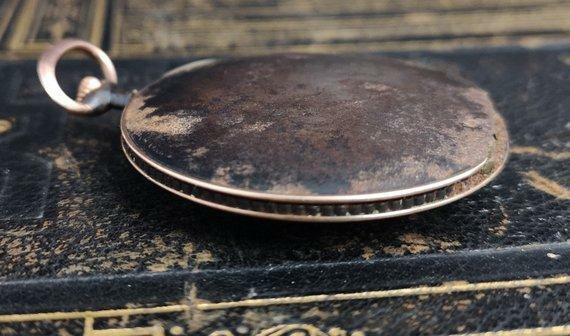 Good working condition, some rusting of the gunmetal (could be carefully cleaned) commensurate with age, internally great condition of the movement, glass is clear and free from chips.